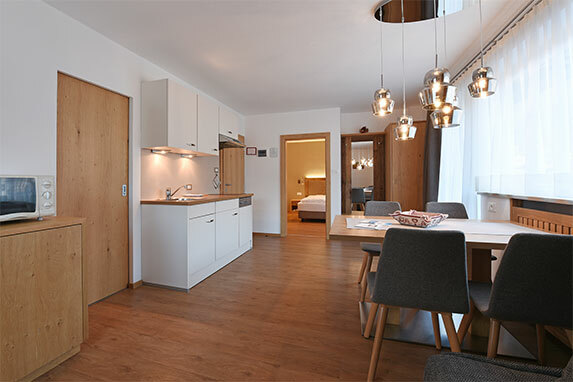 Our spacious and newly refurbished 2-4 people-apartments (type C and B) in the holiday resort Ortisei are comfortable, carefully furbished and modern, but still preserving a Tyrolean style. They are all equipped with a dishwasher, a fridge with freezer, a microwave over, ceramic hobs, LCD TV in the living room and in the bedroom. Moreover, you’ll find a safe and a sleeper sofa with a mattress for an extra bed. All bathrooms are fitted with shower, WC, bidet and hairdryer. 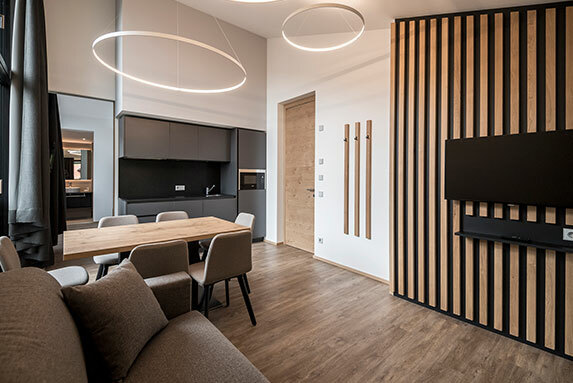 All apartments can be reached by elevator. Our completely new attic apartments consist of 1-3 double rooms each with bathroom and tv, a living room with modern kitchenette fitted with ceramic hobs, fridge with freezer and a microwave. They all have a panoramic balcony. 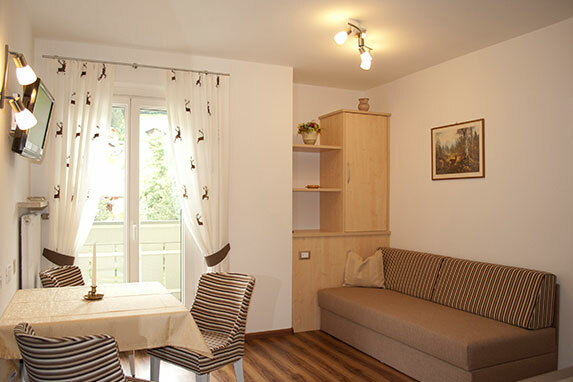 The standard apartment Seceda (without balcony) is suitable for two people, but it is fitted with a sleeper sofa for a third person. The eat-in kitchen is modernly equipped with ceramic hobs and dishwasher.